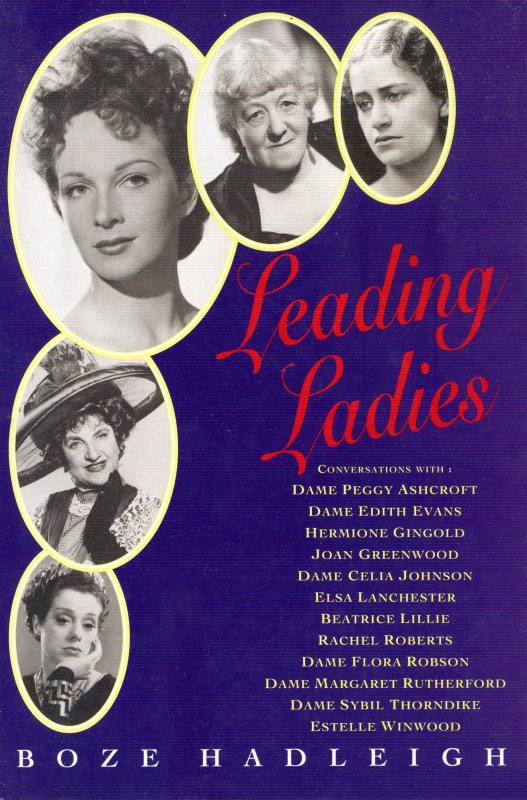 Born in London, Joan Greenwood studied at RADA and was on stage from 1938. 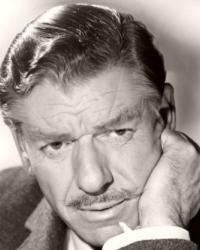 Married actor André Morell. 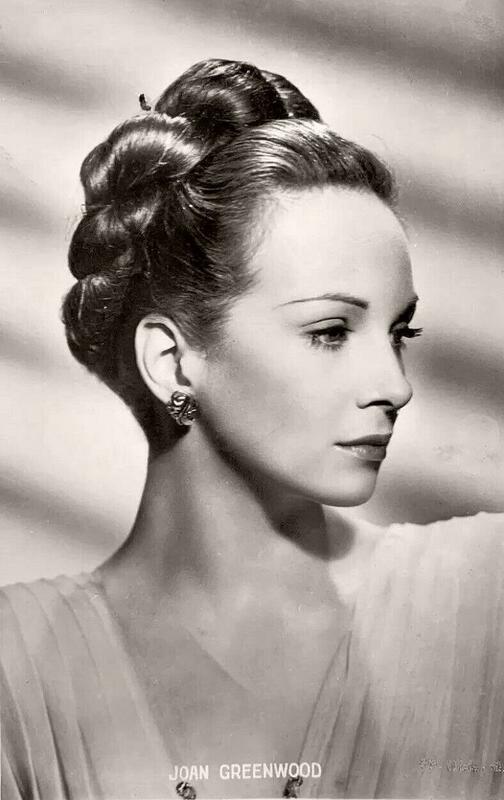 Miss Joan Greenwood, the actress, died of a heart attack on 27th February, 1987. She was 65. A strikingly attractive woman – diminutive and with blinding blonde hair – her portrayals were both bewitching and provocative. Her voice, likened to the sound of someone gargling with champagne, was intoxicating, although it led, to her occasional chagrin, to her being typecast in the role of dotty duchesses. 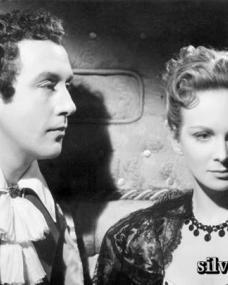 Joan Greenwood was born in Chelsea on 4th March, 1921, an artist’s daughter. 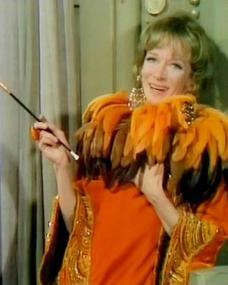 She was educated at St Catherine’s, Bramley, Surrey, and studied for the stage at the Royal Academy of Dramatic Arts. She made her first appearance on the stage – in November 1938, at the age of seventeen – at the Apollo Theatre as Louisa in The Robust Invalid. Next year she was at the Strand Theatre in Little Ladyship and, two months later, at the Lyric Theatre as Little Mary in The Women, taking the same part when it was revived at the Strand Theatre in 1940. She played Wendy in Peter Pan at the Adelphi Theatre in December 1941, and toured in the same part during 1942. A decade later she played Peter Pan again at the Scala Theatre – one of the smallest Peters at just over 5 feet tall. ‘I got my pilot’s licence before we started rehearsals,’ she explained. Earlier, in 1941, she braved the Blitz to go to the now defunct Q Theatre to appear in the revue Rise Above It, with Hermione Baddeley and Henry Kendall. When it went to the West End, however, she was dropped from the cast. Hurt though she was, she persevered and, two years later, succeeded Deborah Kerr as Ellie Dunn in Heartbreak House, followed by a spell of touring for ENSA. She also toured with Donald Wolfit’s Company, playing Ophelia in Hamlet and Ceclia in Volpone. Joan Greenwood made her first appearance on the New York stage at the Morosco Theatre in 1954 as Lucasta Angle in TS Eliot’s The Confidential Clerk, which was later televised. Back in this country, she took the title part, in 1957, in Lysistrata at the Royal Court Theatre, transferring with the production to the Duke of York’s Theatre the next year. And in 1959, her magnetism undiminished, she attracted packed houses to St Martin’s Theatre as Hattie in the comedy The Grass is Greener. At the Oxford Playhouse in 1960, in the title part in Hedda Gabler, she played alongside André Morell, with whom she had previously worked. That summer they secretly took themselves off to Jamaica where, to everyone’s surprise (except their own), they married. Four years later she was at the Lyric Hammersmith Theatre in another comedy – Oblomov, with Spike Milligan – and went with it to the West End when it was re-titled Son of Oblomov. She left the cast, however, after seven months, announcing that ‘enough is enough’. 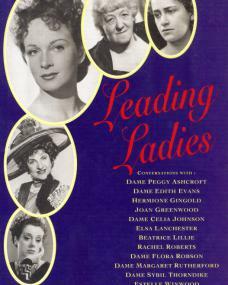 In The Chalk Garden at the Haymarket Theatre in 1971 she excelled as a tight-lipped governess, tiny and ruthless; and in 1982, she took over Celia Johnson’s role in The Understanding at the Strand Theatre following Dame Celia’s death. 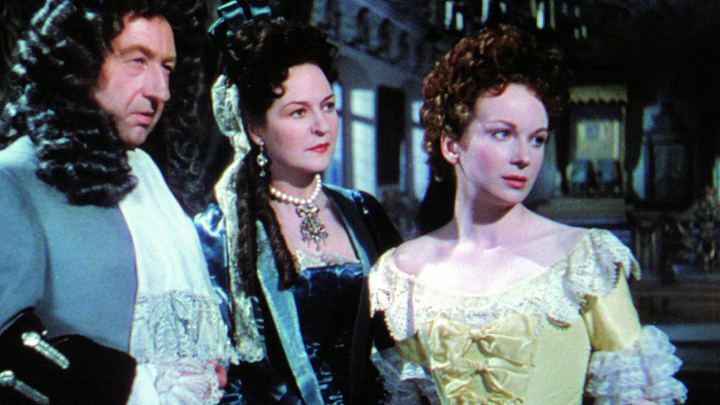 Joan Greenwood made her film debut in the early years of the Second World War, and was at her peak in this medium from 1948 to 1955. She attracted a discriminating following with her witty and intelligent performances in such films as A Girl in a Million (1945) and Whisky Galore! (1949). That same year, in Kind Hearts and Coronets, with Alec Guinness and Dennis Price, she played a thoroughly unpleasant young woman. This remained her favourite film. She enjoyed travel and went to New York several times to do work. In 1955 she made her first visit to Hollywood to play in Moonfleet, and spent four months on a part that lasted about five minutes on the screen. But she had no time for the Hollywood lifestyle or for American men. ‘I couldn’t put up with the endless makeup sessions,’ she later reflected. ‘All the palaver of keeping out of the sun, dyeing one’s hair and worrying about the size of one’s bosom.’ She found the sanity of Ealing much more to her taste. 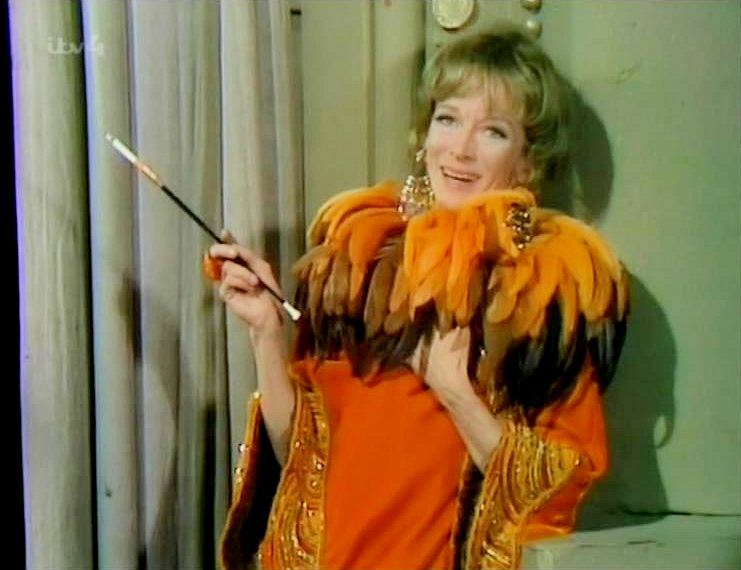 There ‘we used to wash our hair in buckets, and we survived on toasted sandwiches, chocolate and soup.’ Later films included The Importance of Being Earnest (1952), in which she played Gwendoline, Tom Jones (1963) and The Hound of the Baskervilles (1978). Her most recent television appearances were in a comedy series called Girls on Top, as a romantic novelist just this side of certifiable; and in a BBC Miss Marple adventure, as an endearing, all-knowing society lady. 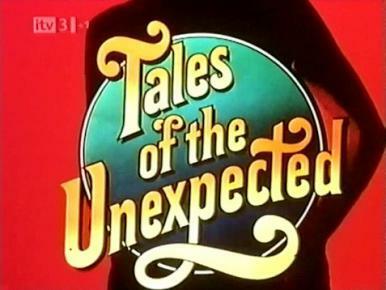 ‘Now I’m an old hag, I get to play much more interesting characters.’ Her husband died in 1978. She is survived by their son, Jason Morell. 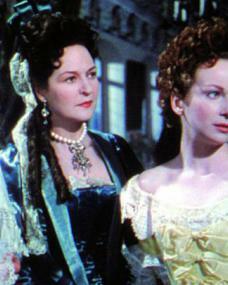 Joan Greenwood was born (as Joan Mary W Greenwood) in Chelsea, London on 4th March, 1921 . 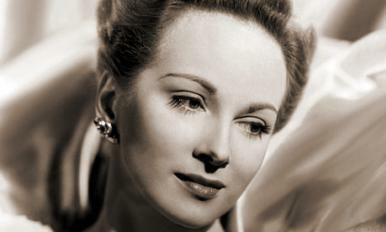 Joan Greenwood died of a heart attack in Chelsea, London on 28th February, 1987 , aged 65. Union officers escape by balloon and join shipwrecked English ladies on a strange island, where they are menaced by prehistoric monsters and helped by Captain Nemo. 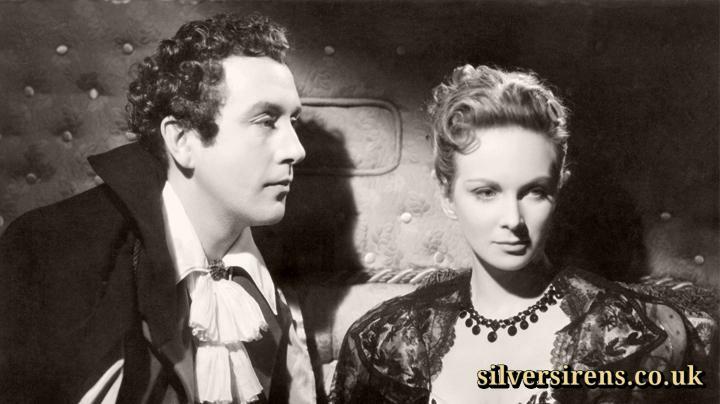 Philip French, the Observer’s film critic, adds actress Joan Greenwood to his ‘Screen Legends’ series.